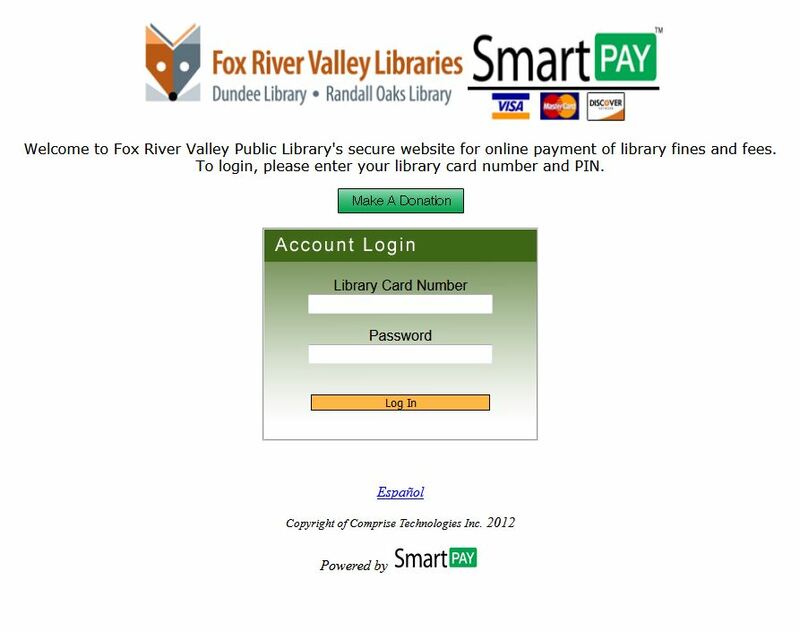 To make a donation to the Fox River Valley Public Libraries online, you may visit our secure Smart Pay page and click the green Make A Donation button. You do not need to enter your library card information to make a donation. To make a donation by check, please print out the form and mail it to: Fox River Valley Public Library District, Attn: Administration, 555 Barrington Ave., East Dundee, IL 60118. To honor or remember a loved one or to celebrate a special event, please specify in the space provided.